August 7th, 2013 Comments Off on Is your sunscreen causing cancer? I do much better when I get my 30 minutes of sun and then cover up with clothing. 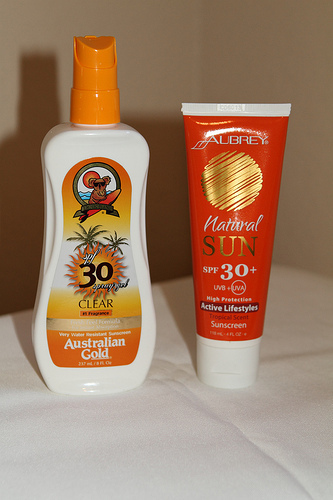 The majority of sunscreens on the market today are more harmful than beneficial. Sunscreens are designed to decrease your risk of skin cancer and allow you to enjoy the sun without worry. Unfortunately, most modern day sunscreens may increase your risk of cancer and disrupt the functioning of your hormones (14, 15).